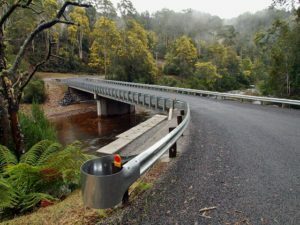 Whether design and construct or construct only TasSpan has built everything from simple country bridges and jetties to sophisticated multi lane highway structures. These structures are built off site as much as possible to reduce road closure times and so reduce the negative impact on clients and the public. TasSpan is recognised interstate and locally for its expertise in timber bridge construction and maintenance – a dying art.